Crystal Party Favors for all Occasions. Huge Selection of 3D & 2D Laser Etched Crystal Party Favors with changing color lights. Perfect gift ideas for any special occasion, including birthday favors, Wedding Favors, Sweet 16 Favors, Communion Favors, Mis Quince Favors, Baby Shower Favors, Baptism Favors, Christening Favors, Anniversary Favors, Memorial and many many other occasions...In addition, Crytalhobbies offer special pricing for Schools, Churches, Non-profit Organization and other business entities.. Crystalhobbies is the largest manufacturer and wholesaler of customized laser products. 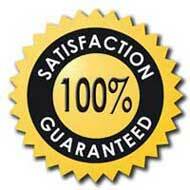 We are capable of handling large quantity (1,000's) custom orders in a week turn-around-time. Call us and find out what Crystalhobbies can do for you. BEST SELECTION... BEST PRICES... BEST QUALITY... BEST SERVICES.... FASTEST TURN AROUND TIME ON LARGE ORDERS.